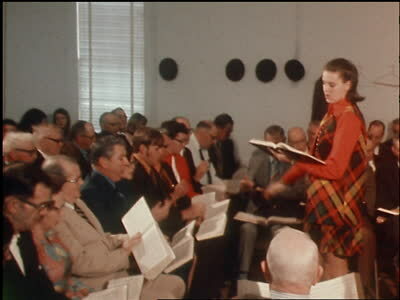 outtakes from GACenter Production #131 (1970), transferred by Film Tech, 2006. This is that pres master tape. 772834934687639. John Garst Collection. Walter J. Brown Media Archives and Peabody Awards Collection, The University of Georgia Libraries.